Resident Evil is an iconic franchise for the video game industry. Among its achievements is the foundation of the genre survival horror with a delivery that was a great success and turned the franchise into a trendy with millions of followers. However, everything that goes up has to go down and the saga was the victim of several launches and changes of rotation mediocre that left behind the most important elements that popularized the series. 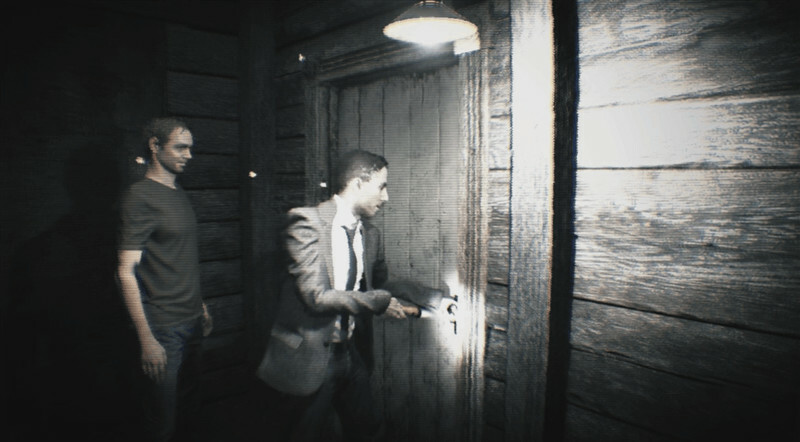 The launch of Resident Evil 7: Biohazard is important because it aims to return to the design philosophies that captivated generations of players to return the series to the top where it belongs. Resident Evil 7: Biohazard is the seventh installment of horror that pursues the main numbering, but it is also the most strange and alien. Not counting the games on rails of shots, it is the first time that the franchise approaches the perspective in first person as a whole to face the player to a version of survival horror never before seen in a Resident Evil, following the values ​​that made great to the franchise. Because of this, comparisons and similarities with other games are imminent. 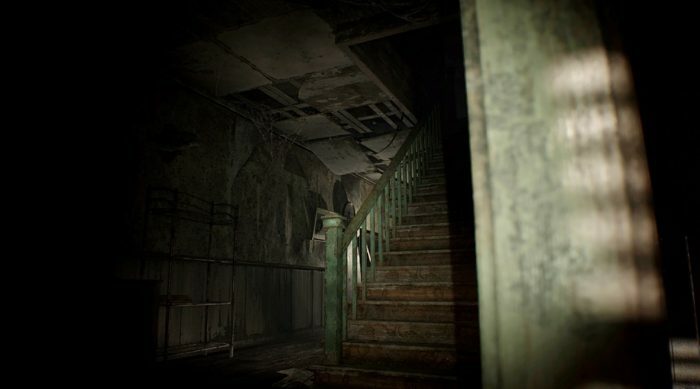 The most evident are the desperate sensation of a helpless protagonist, such as Amnesia: The Dark Descent and the high intensity sequences that make up the Outlast linear experience. We begin with the story of the game that introduces us to Ethan Winters, a more ordinary ordinary guy who is common during his visit to a farm in Louisiana, in the southern United States. The plot hook is a letter and a recording that sent the missing 3-year-old Ethan’s wife, Mia Winters. Soon, things will take a dramatic and dismal turn for our new protagonist, who will have to survive a night of terror inside the derelict and macabre mansion that is home to the Baker family. Our protagonist, Ethan Winters, is a look at the past and the awkward tank style controls that characterize the series. Winters did not receive specialized training and is clumsy to get around. Within their actions they find themselves walking and running slightly faster and even their ability with weapons is limited. This is a great addition to the combination of atmosphere, tension and immersion in the new world of terror because you do not feel like a gifted hero. Resident Evil, as a franchise, has been built on four pillars: atmosphere, combat, history and tension. 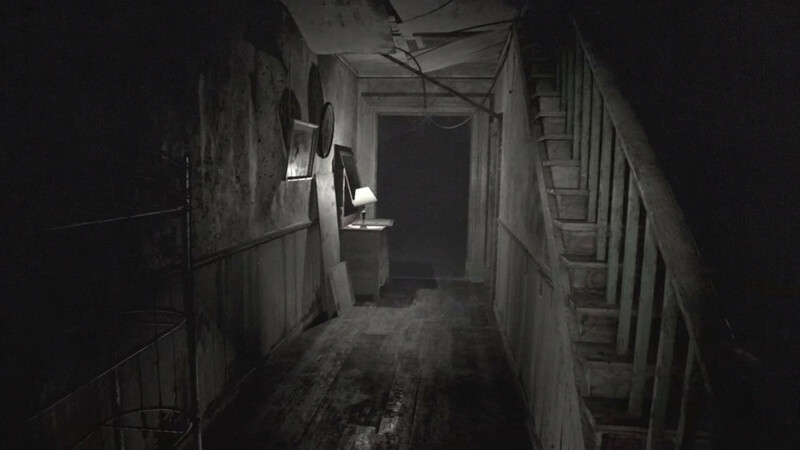 Within the ambience section we have to say Capcom has succeeded; Resident Evil 7: Biohazard is an invigorating delivery that captures the original design philosophies from a different perspective. Let’s start with the setting. Visiting the Baker house and its different locations is a unique experience of its kind and we could say that it functions as an additional character. The locations employ an outstanding audiovisual combination where every square centimeter shows exceptional care for details. The house and locations that visit are horrible in the good sense of the word because every element, every wall and room, subtly tells the story of its inhabitants and their descent into the world of terror. Basements are neglected, littered with trash and grime and broken pipes, collapsed walls and biological remains. At times, you will feel that you descend into the dungeon of a serial killer who is also an accumulator. It is disgusting, repugnant and vile, among many bad words that can be used. This is accentuated by the exceptional design of environmental sound and the lack of a soundtrack in much of the game. Every step inside the mansion is an experience that has the ability to beat even the most seasoned veterans in the horror genre. The sound of the creaking wood, ghostly leaks, unexplained thumping and the sound of the air, are a great complement to deliver one of the best ambiences achieved in the franchise. It is certain that, during the experience, you run terrified to the safe zone after hearing the weakest sound. Inside the mansion, your mission is to sift through locations for items that will help you progress through history, taking care of the inherent dangers of the place. During these sequences the elements that build the franchise are still present. For example, the classic themed keys that give access to restricted areas, as well as different shortcuts that facilitate the backtracking of the areas. The riddles are also back, but we have to say they are a bit disappointing because of their simplicity: they are not walls that impede progress and the most feasible is that you know the answer of some instantaneously or the next place to visit without much problem. Resident Evil 7: Biohazard is the easiest title of the franchise and we might even be lineal. Not bad news because, in our opinion, everything is perfectly threaded to maintain an excellent rhythm of play, with no downtime or boring parts. We also have combat, which curiously, clings faithfully to what we know. Here the action of aiming is difficult and is coupled with the fantasy of the rookie who is the protagonist. Raising the weapon is slow and reloading ammo takes another eternity. This is a great success that complements the desperate setting and the new fantasy of terror that prints the game. The arsenal you get when exploring the mansion is classic in the franchise: knives, pistols, shotguns, flamethrowers and other heavy fire ordinances. The ammunition you find is plentiful and sufficient to eliminate most of the enemies, even for later stages of the game you are likely to accumulate a formidable arsenal. Here you can lose the feeling of being defenseless, but during this time the game confronts you with large amounts of opposites a little more resistance than the previous ones. Unfortunately, the last part of the story could feel like a shooter rather than a survival horror experience, but so are all Resident Evil. As for the enemies that complement the combat we find dark, slimy creatures that follow the fiction of this story. At first, these enemies are slow and require all your ammo to be killed, so to escape them you need smart, fast action and move your legs with speed. 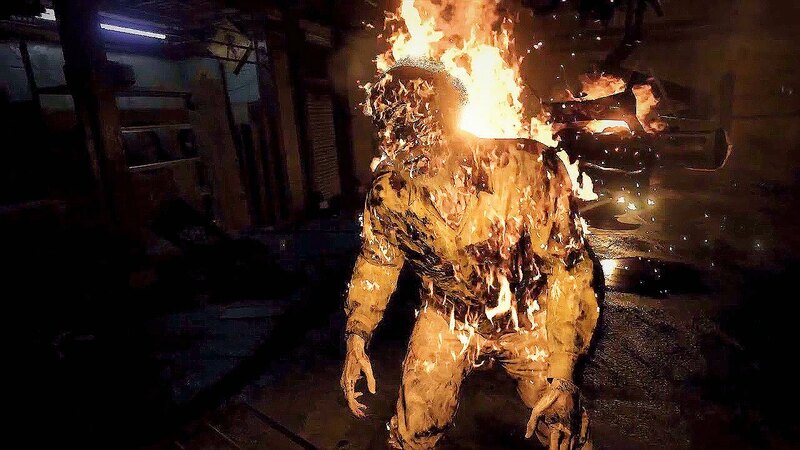 Later on, Resident Evil 7: Biohazard will challenge you with more variety of enemies, some more resilient, fast and dangerous, yet do not escape the main design, similar to certain creatures from the depths of horror film fiction. In this section we are a bit disappointed because the only thing to combat are 3 variations of the same enemy and in the long run, this element becomes boring and even decreases the startle. In the end they are not a real threat and we could say that they are more than annoyances than a challenge to overcome. On the other hand, we have the inhabitants of the Baker house: Jack, Marguerite and Lucas. These characters are the main antagonists that you will face during the journey. First of all, we have Jack, an aggressive giant who harasses your steps in the house. Jack lends itself to high-intensity sequences due to Ethan’s clumsiness, so here you have 2 options: escape or shoot him down with your weaponry, which is no guarantee that he will stay down. Next we find Marguerite, who presents situations of secrecy in a limited part of the game, however, it is also feasible to face it, although it is extremely risky. Finally, you will find Lucas, who will challenge you with riddles and traps in the traditional style of the franchise. All in all, the trio of antagonists challenges you in different ways and with them the influence of Amnesia becomes evident because the protagonist must remain hidden and when it is discovered, the explosive and sensorial charge of Outlast is very strong. As a good Resident Evil, the game presents different bosses who follow the mythology of the series and the ongoing conflict. On these we can say that these are intrepid clashes of great intensity. However, the main combat mechanic is simple; in the end, enemies only act as sacks of health points and ammunition receivers. In this section we would have liked the studio to use more refined combat mechanics or some gimmick to defeat them, but in general, the feeling of victory after defeating them is satisfactory. 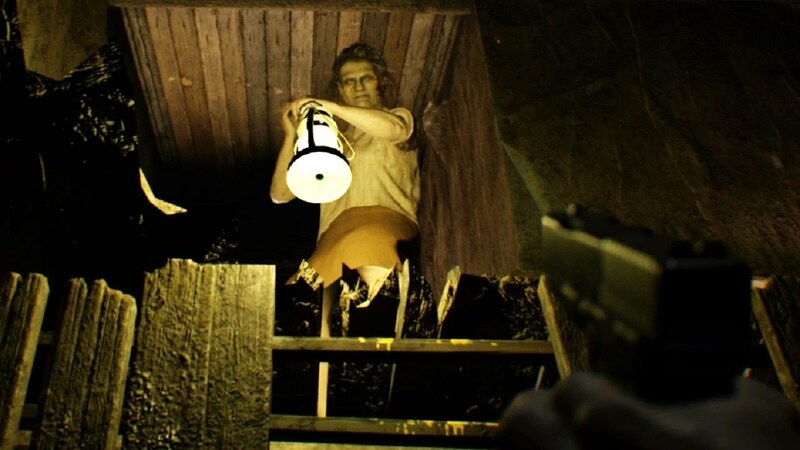 Now let’s see the pillar of history that reminds us of other titles of the survival horror genre and certain horror films. In this installment we do not find something new or innovative; here everything begins slowly with simple notes that set a tone of supernatural mysticism. A great achievement of the game and also of the franchise, is that the plot is kept simple, without delays that require 20 years of launches, but this does not mean that it lacks connection with the main events of past deliveries; All are there, subtly throughout the game locations, which is an excellent addition for fans who have dedicated their lives to the series. Later, the story becomes extremely dark and complicated, even offering dyes of psychological and supernatural horror that is not absurd because it is well explained during the conclusion. As you complete the story, the points connect and disappear from the trail of mysticism. However, the true ending leaves many unknowns unanswered. The last department that builds the Resident Evil fantasy is tension. This element is cemented in the unique rhythm and mechanical characteristics of the game that are fundamental to the franchise. To mention a few, here is the conjunction of the system of limited inventory and juggling items together with shelters with storage machines and the trunk of items that serve as sanctuaries that you can use as a well-deserved break during the visit to the grim house. In addition, we have a small crafting system to build ammunition and health equipment. We have to say that the game is kind to artifacts because they never feel they are lacking or scarce. Also, we find new additions in the form of VHS tapes. As we discovered in the demo, they allow you to participate in sequences that occur in the past. The important thing about them is 2 aspects: the narrative advance that, in some cases, complements the events that occur and with pieces of subtle information that help the most observant with the progress of the game. The combination of mechanics is responsible for the excellent pace that keeps you moving forward. No part of the game is overwhelming or boring. Everything combines perfectly, from the atmosphere to the inventory mechanics; the items, the ammunition, even with the simplicity of the riddles. Resident Evil 7: Biohazard is a true work of art of horror, where the elements that complement it complement majestically to never lose the attention of the player. I think that introducing more complicated and elaborate puzzles would be a negative for the objective of the game, which for now is a dense, attractive and unforgettable experience. There are many elements that go unnoticed the first time, but continue to build the fantasy that captivated us from the first time we started a PlayStation and have lasted for decades. The last thing to cover is replay ability. On this occasion, we face a short game, but dense in experiences and situations. Our first approach took about 12 hours to explore every detail, to flee from the enemies and to be extremely meticulous. Now, the replay ability factor can be divided into finding a limited selection of collectibles, facing the maximum difficulty and finishing the game in less than 4 hours. In total, we could talk about 5 games from start to finish to complete the trophy list. In our opinion, it is not bad for the exquisiteness of the total construction experience. So we come to the end of this review where we have to mention the theme of reinvention suffered by the franchise because it seems a metaphor of it. Every 3 main deliveries the original formula changes its DNA by means of a kind of mutation: after 3 games, the formula evolved to show a new perspective and a focus on action and with the latest delivery, the change leads us to new Horizons and a return in form to the roots that constructed so emblematic franchise. The transformation is almost poetic despite the ups and downs it has undergone in recent years. Resident Evil 7: Biohazard left us an excellent impression and we are excited for the future of the saga. The game is a stellar survival horror experience and a benchmark for the genre. Resident Evil 7: Biohazard, without a doubt, is the triumphant return to the most important of the saga.